Rohan de Saram was a member of the legendary Arditti Quartet for over twenty years and has performed as a soloist with a laundry list of major international orchestras. Preethi de Silva is the director of the celebrated US early music ensemble Con Gioia. A multi-award winner for her performances and literature, de Silva has performed with many internationally-famous period instrument musicians including Chiara Banchini, Monica Huggett and Wieland Kuijken. 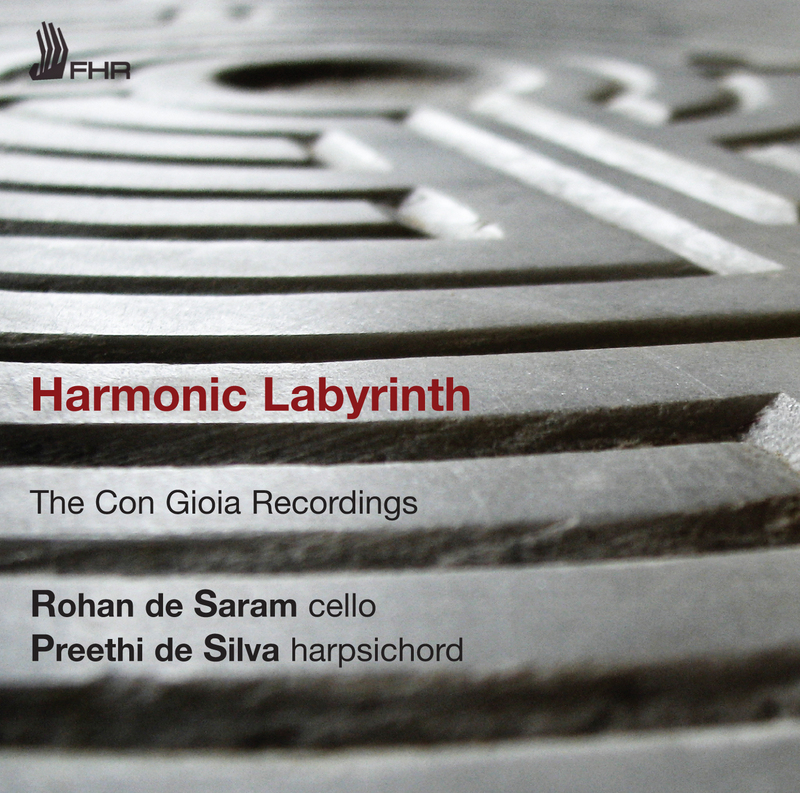 Harmonic Labyrinth, a special collection from First Hand, celebrates these two great Sri Lankan musicians and features repertoire from their recent, highly acclaimed concert tour with Con Gioia.